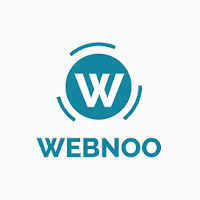 On & Exclusive Campus Recruitment Drive for B.Tech 2018 Passouts | Webnoo Technologies Pvt Ltd.
Name: Webnoo Technologies Pvt Ltd.
55 Percent in B.Tech Academics backlogs not criteria however should complete before joining. Familiarity with commonly used libraries like retrofit, Picasso etc. Design the architecture of native android application. Write a clean, fast and maintainable code for android app. Research on latest trends in android development and evaluate and incorporate the same in the application. Good and basic knowledge of HTML, CSS, Wordpress/Joomla/any CMS, Basic Adobe Photoshop / Fireworks skills. Job Location: PAN INDIA, Flexible to relocate.